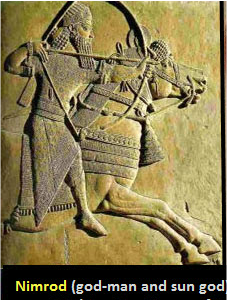 Origins of Religion - goyur group, inc.
Nimrod is the name of the son of Kush, grandson to Noahk (Noah) in his genealogy. This individual has been acknowledged by other cultures besides Hebrew and can be most commonly identified with the Ancient Sumerian (Early Bablylonian) hero Izdubar or Gishdubar (Gilgamesh) and was the first king of mankind. In the Gilgamesh Epic, he was obsessed with immortality, becoming a mighty hunter, killing giant creatures, and even creatures born of the “gods” (Nephilim) and even met with a descendant of the first people who survived the great flood through a boat. Noahk’s son Kham (Ham), the father of Kush, stole the garments of animal skin that The Most High (YHWH Elohim) made for Adham (Adam) and Khawah (Eve) when they were cast out of the Gan Ayden (Garden of Eden). Book of Bereshith (Genesis) 3: 21 "And YHWH Elohim made coats of skin for the man and his wife and dressed them." ​Nimrod became very large and strong as described in both the Epic of Gilgamesh and the Scriptures. This made him a man of renown and when a war broke out between the Kushites (tribes of Kush), he was able to assume authority over a few and lead them to victory over the many. They then began to assume control over the areas where the other sons of Noahk migrated together in peace after the flood. Nimrod built a large city with a tower in the region of Eritrea, Djibouti and Somalia, north of the horn of Africa where Yemen used to connect to Africa long ago. Book of Yahubelim (Jubilees) 10: 19 "a city and a tower in the land of Shinar (Arabian Peninsula). 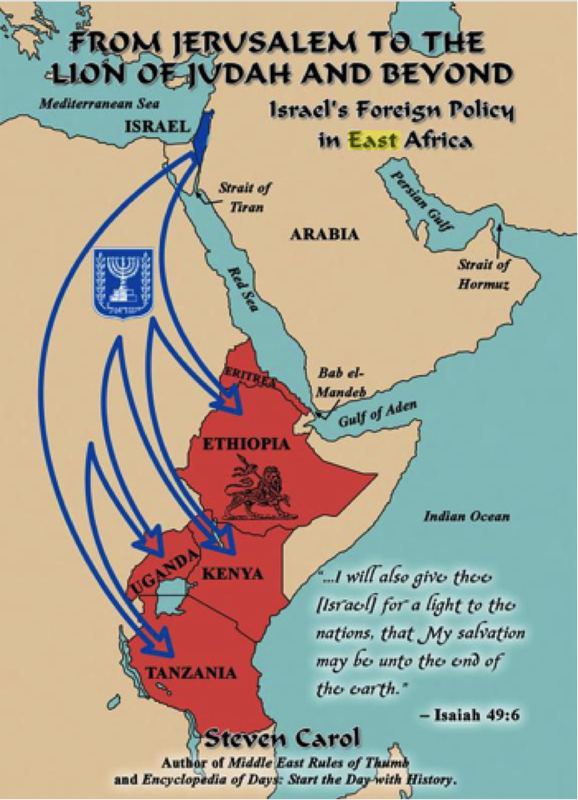 For they departed from the land of Ar’rat (mountains where the ark rested after the flood) eastward to Shinar." 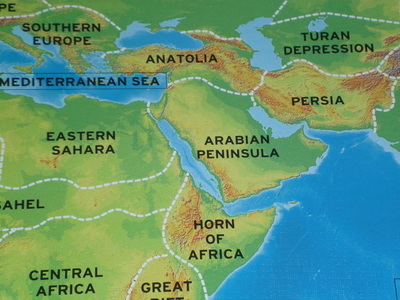 The Mounts of Ar’rat are not in Turkey according to scripture, but rather in Africa as east of Africa is Arabia and east of Turkey is Asia. Nimrod Established his kingdom and many served him as the first forms of princes, judges, and other rulers, of which, most humanity still uses today. The area of Bab el- Mandeb is the straight dividing the Gulf of Ayden (Aden) and the Red Sea. It used to connect modern day Yemen with Djibouti and is known as the gate of tears signifying a massive earthquake that killed many and divided the land. According to the most widely accepted paleoanthropology model for the early migration of anatomically modern humans, people traversed through this region and modern humanity's origins lie in Africa which dispersed in a single migration that populated the earth and replaced multiple older and altogether different species of humanity. Nimrod and Semiramis have become the names infamous with religion and have spawned many monikers and imitators alike. Nimrod is known as Saturn to the Greeks, Osiris to the Mistrians (Egyptians), created the very first kingdom of man, and his mother ushered in the era of the mysteries for mankind. Like her son/husband, she too has been known by many names throughout time. She is Isis to the Mistrians, Ishtar to Ancient Sumer, the Madonna to the Romans/Greeks, mother of “god”, and queen of heaven among many others. Book of Yirmeyahu (Jeremiah) 7:18 "The children gather wood, the fathers kindle fire, and the women knead dough, to make cakes for the queen of heaven. And they pour out drink offerings to other mighty ones (gods), to provoke me (YHWH) to anger." Her teachings have transcended the eons and exist, in some form, in every religion of man today and corrupt all forms of faith which has only lead to oppression and war. After Nimrod died, she found a way to maintain the power and influence that she obtained during his reign by making her son and husband a “god”. She claimed that Nimrod had ascended to the heavens and became the sun, then he gave her his essence through the rays of the sun, giving her the first form of an immaculate conception and leading men to worship the sun instead of the Heavenly Father. Book of Yhezq’el (Ezekiel) 8:16 "And he (YHWH) brought me into the inner court of the house of YHWH. And behold, at the entrance of the temple of YHWH, between the porch and the altar, were about twenty-five men, with their backs to the temple of YHWH, and their faces toward the east, worshiping the sun toward the east." She declared this child Tammuz as the reincarnation of the sun “god” Nimrod and herself as the concubine to the “gods”. Tammuz died at an early age, killed by a wild boar and his mother created 40 days of mourning to honor her son (See Lent in pagan holiday's section). Book of Yehezq’el (Ezekiel) 8:14 "Then he (YHWH) brought me to the entrance of the north gate of the House of YHWH, and behold, there sat women weeping for Tammuz." ​These proclamations cemented her designation as a high priestess over Ancient Sumer (Mesopotamia)and spawned the creation of the mysteries, which later became religion as the world knows it today. Book of Hazon (Revelations) 17:5 "And on her forehead was written a name of mystery: Babylon the great, mother of prostitutes and of earth's abominations." She herself was later worshipped as a “god” and given worship and many alters in her honor. Book of Yirmeyahu (Jeremiah) 44:25 “Thus spoke YHWH of hosts, the Elohim of Yisra’el (Israel): You and your wives have declared with your mouths, and have fulfilled it with your hands, saying, ‘We will surely perform our vows that we have made, to make offerings to the queen of heaven and to pour out drink offerings to her.’ Then confirm your vows and perform your vows!” Whereas Nimrod created a government in which mankind would rule each other, she created something far more sinister and lasting to the detriment of mankind. The means to control the masses. She told her subjects that a full-grown evergreen tree spawned in the place of a dead stump, which symbolized Tammuz/Nimrod’s resurrection or rebirth through a tree. This custom is still celebrated today in the form of Christmas as it was in the time of Babylon (see Christmas in pagan holiday page). This allowed her to seemingly have control, in some fashion, over eternal life and became a huge propaganda tool used to control the masses during her life. 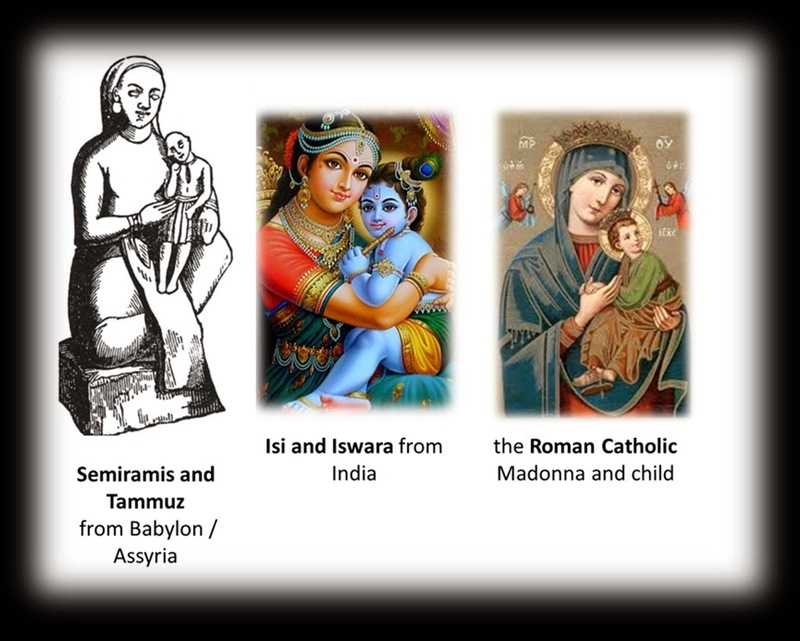 Many idols were erected to honor the reincarnation of Tammuz/Nimrod (later Ba’al) and the deification of the father, the son, and herself is an unholy trinity that can be found in almost every religion today. Semiramis and Tammuz/Nimrod became the Maddona and child and were worshipped as such and the worshipping of the sun became commonplace for the region. The Romans identified them as Fortuna and Jupiter, to the Greeks they were Aphrodite and Adonis, and Asteroth/Astarte and Molech/Ba’al in the land of Kena’an (Canaan) which is the present day region of Palestine and Israel. Book of Shophtetim (Judges) 2: 13 "so they forsook YHWH and served Ba’al and the Ashtoreths." This mystery religion dominated the region of Ancient Sumer (Mesopotamia) for thousands of years and when that empire waned, religion was re-packaged, but still practiced sun worship and pyramid constructions later in Mistrayim (Egypt).